Terms are 2% in 10 days, net 30 days with approved credit. Waytek requires three trade references and bank information. Visa, MasterCard, American Express and Discover Card are accepted at time of shipment only. All payments are due in U.S. dollars. The entire application process will depend upon your credit standing and when your references reply. You are welcome to inquire about the status of your application at any time by calling 800-328-2724 or emailing ar@waytekwire.com. Please note: If you order on-line and have not yet established an account with Waytek, only credit card terms will be available. To establish credit with Waytek, please complete our credit application. If you currently do not have a Certificate of Exemption, you can access the Sales & Use Tax Exemption/Resale form here. 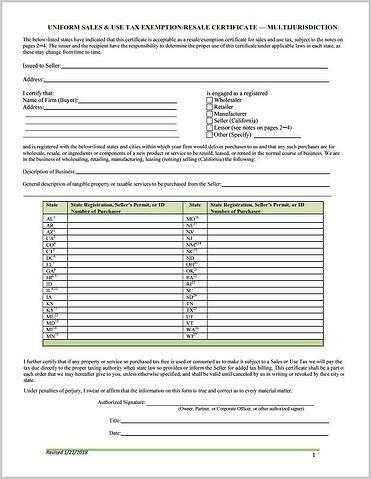 Simply fill in the form by completing all sections and include each states sales tax ID number. 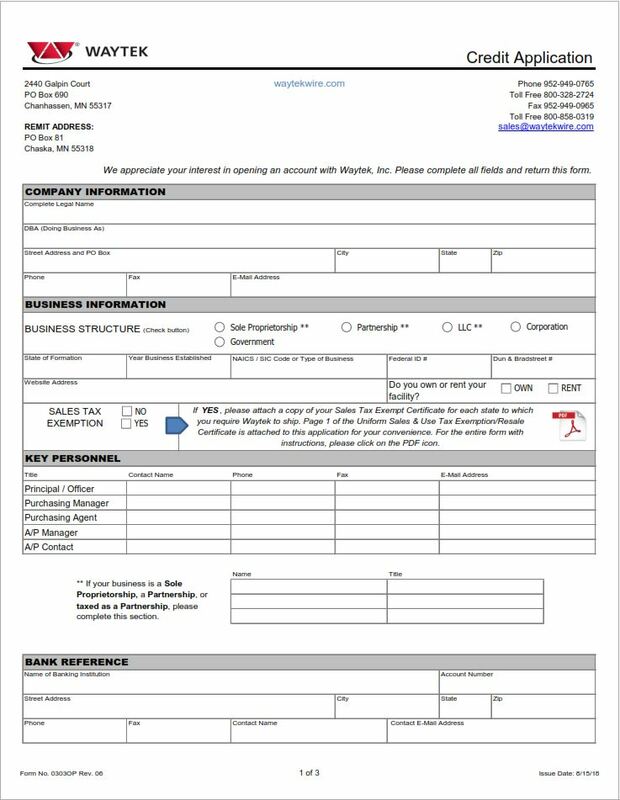 If you have deliveries in more than one state you may use this single form as the Certificate of Exemption. If you are a reseller of goods and have shipments sent directly from Waytek to your customers in other states, you will want to include your sales tax ID# for those states also. Unfortunately, if we do not have a certificate in our possession, Waytek may be required to include sales tax on all shipments to locations in your state starting October 1st, 2018. Please contact your tax adviser if you have any additional questions regarding sales tax.